Mark and Addison used to have a thing. Now the only thing they are worried about is saving her brother's life. Callie Torres and Naomi Bennett (Sara Ramirez and Private Practice star Audra McDonald) on Grey's Anatomy in "Before and After." Another photo of Addison and Callie in church on Grey's Anatomy in the Season Five episode, "Before and After." 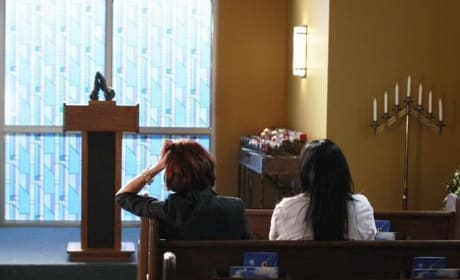 Addison and Callie go to church on Grey's Anatomy, as seen in this photo from "Before and After." 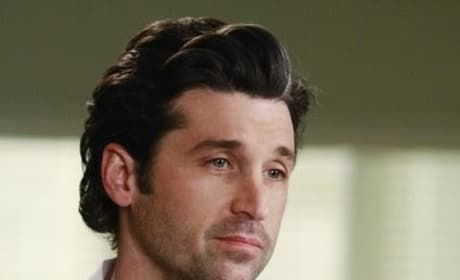 Derek Shepherd (Patrick Dempsey) wears a serious expression in the midst of Archer's dire situation. Can it be done? 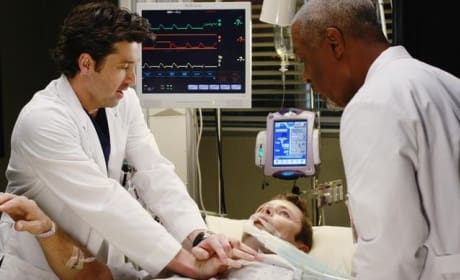 Are the doctors at Seattle Grace up to the task? They are, we think, but they will have their hands full. Derek listens to the doctors talk strategy about Archer's medical condition, while Naomi looks on in front of him. Doesn't Derek look like one? Outside the hospital, at least? Call him what you want, he's just dreamy. 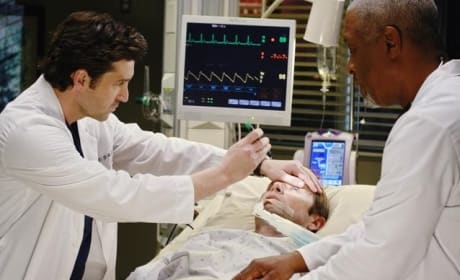 Richard and Derek work hard to save a patient. These two are the best in the business.